A couple times a week I have a protein peanut butter smoothie for breakfast. I like peanut butter and go through it quickly. 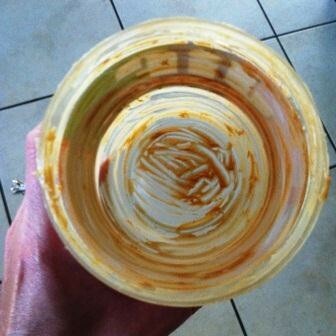 Yesterday, as has happened many times before, I opened up the cupboard to find what appeared to be an empty jar. But I knew from my mom’s lessons and lots of prior experience that by scraping the bottom you can make something out of seemingly nothing. Now, that one heaping scoop of peanut butter was a minuscule amount both in value and portion relative to the entire full jar. But by scraping the bottom of the jar I was able to cull together not just my one heaping scoop but two before the jar was truly empty. And in so doing, I could not only make the peanut butter protein smoothie I wanted but was able to make those two heaping scoops worth so much more than their relative proportion to the jar. I haven’t done the math but I’m guessing it’s about 1,000 calories of deliciousness.